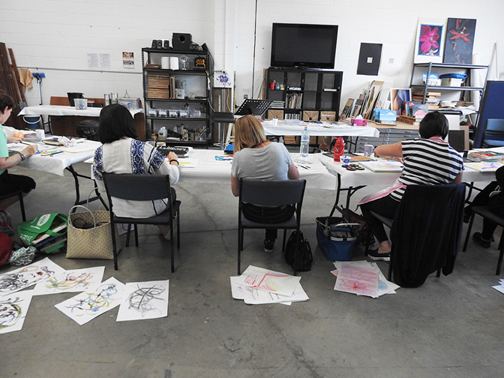 Lyne Marshall's Finding Creative Direction Workshop in progress. I got such a rush of spiritual knowledge and passion that I had to control myself in my newfound zeal. B – artist from Melbourne on the Gleaner book. I am trying to find my style, I struggle to maintain creativity as an artist because I work part time as an accountant. S – artist from Brisbane on Gleaner or Gladiator book.